This comprehensive and up-to-date discussion of the major ring-forming processes used in synthesis takes its examples from the terpene field. Since terpenes are most representative of carbocyclic compounds found in nature and characterized by intricate assays of ring structures, they are the most attractive and challenging targets for synthesis and a testing ground for defining the limitation of annulation techniques. With over 1200 references, this book constitutes a valuable reference work. It can also serve as supplementary text for senior and graduate level organic chemistry. TSE-LOK HO is Professor of Organic Chemistry at National Chiao Tung University in Taiwan. His research interests are in organic synthesis, including total synthesis of natural products and methodology. 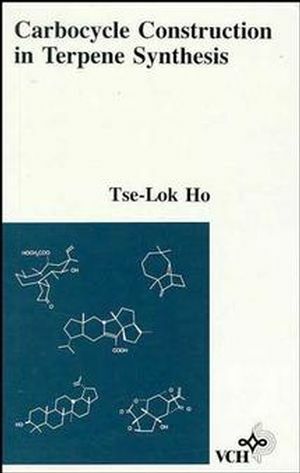 He has written 12 books, including, most recently, Stereoselectivity in Synthesis, available from Wiley. Dr. Ho holds degrees from National Taiwan University and the University of New Brunswick, Canada.